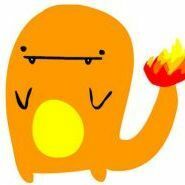 Did two 1 hour soaks today in hot water. Tried them on just now after drying for about 3 hours. Doesnt look like they shrank one bit. 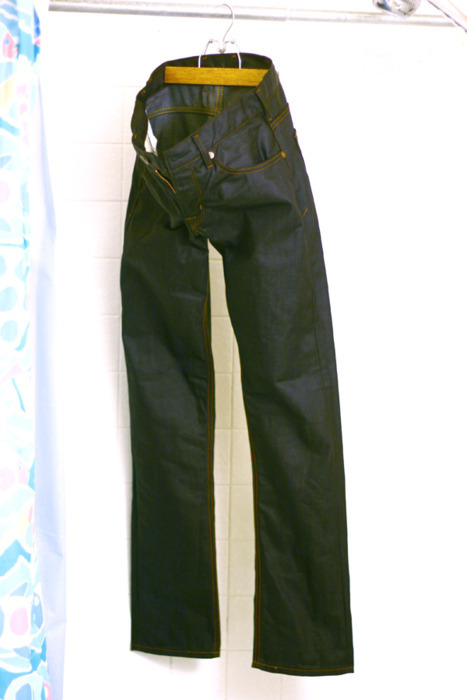 After it fully dries I'll get the exact measurements, but for now it looks like the SEN Skinnys are sanforized. 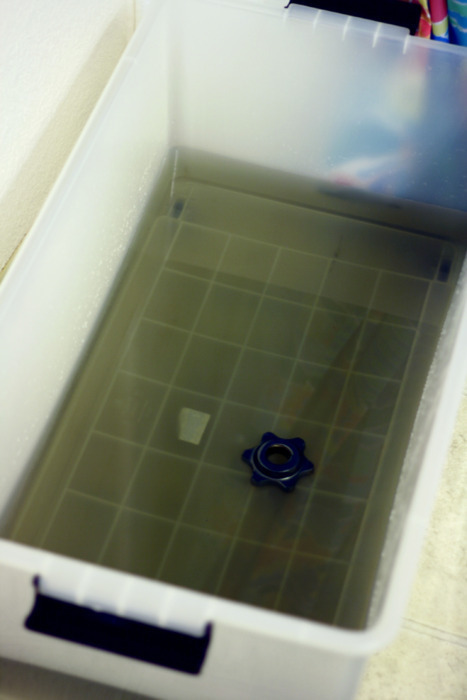 They didnt lose very much indigo in the water either. I didnt agitate very much. After the first soak I moved it around a bit and the water got a slight gray tint, but nothing major. I took pictures along the way and will post after I can take post-soak shots. You mean "they are sanforized" right? And where did you get your SEN from? LOL yes, corrected. Thank you. I got my pair from Cultizm. Theyre on sale right now. Did two 1 hour soaks. Still pretty starchy, didn't lose very much color, didn't really shrink. 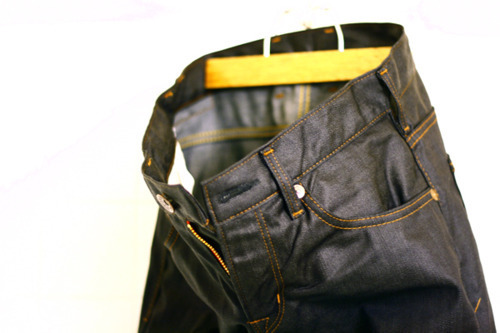 Black double stitch across the back pockets for reenforcement? also what is the difference between made in japan edwin and made in europe edwin?? 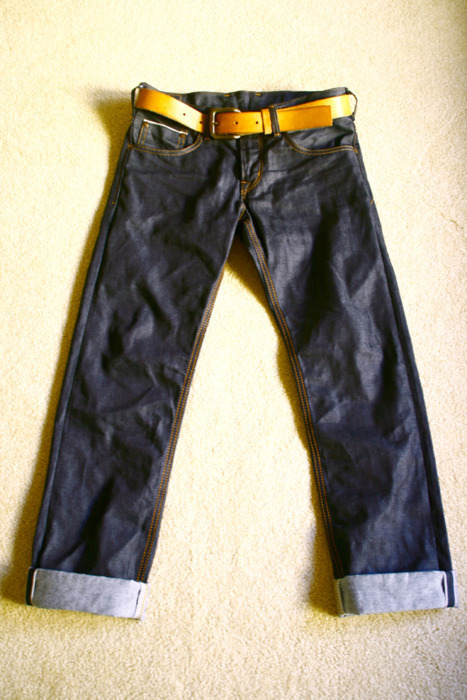 I'll try and do some fit pics eventually, but I feel like they wouldnt be very helpful since I've got them triple cuffed with a little room in the waist. I'm of the small build variety. 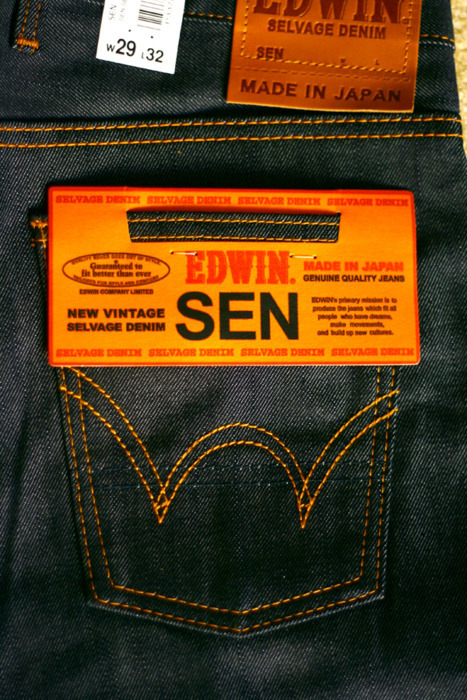 "Made in Europe" Edwin's are actually made in Tunisia now along with the Nashvilles and Waynesvilles, I think Greenvilles have ceased to exist. 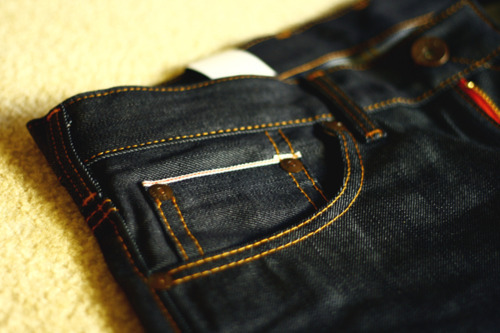 I think that generally they use lighter weight denim for the non-made in Japan stuff and the cuts are quite modern. There's also an Edwin Europe website for further information. 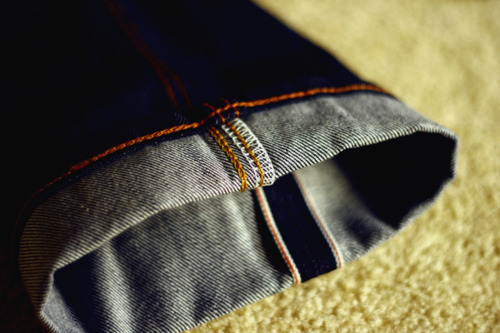 My sen selvage are made in japan, i love them but i have to wait for them to strech out a little i posted a fit pic a few pages back. Was just wondering how much I should list these for? Found them while going through my wardrobe. BNWT. Dude this was on of the least popular colour ways in the Sen. They went on sale when we had them at work. Put them up for a $100 and see what happens. 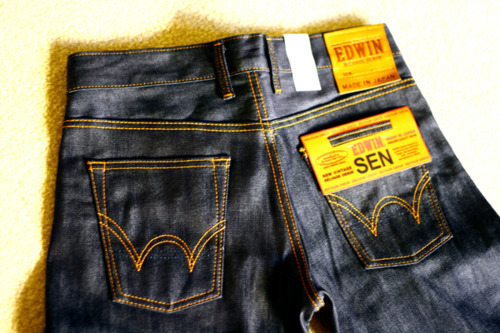 Son of a Stag now have some jeans from the new Edwin Heritage line. 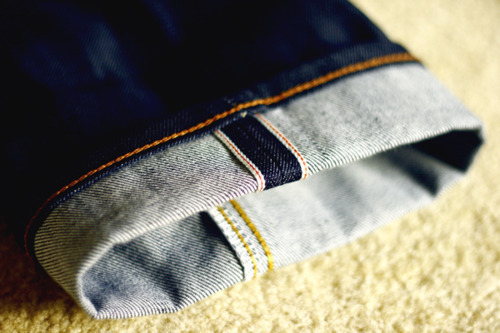 They're a tapered cut (roomy enough on the top block) using raw unsanforized 14 oz Nihon Menpu rainbow selvage denim ( a much thinner selvage line than their standard ED offerings), which may be the same as that used on the ROY world tour jeans. 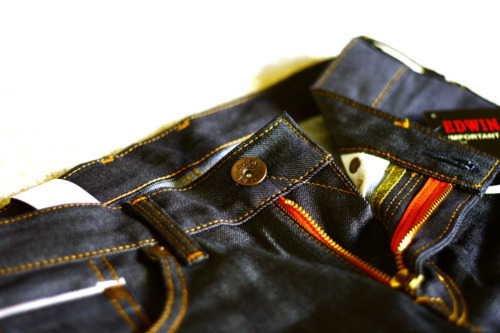 They have hidden back pocket rivets, hammered rivets elsewhere, donut fly buttons and nice thin arcs. They are made in Japan. They felt substantial and more like the other high quality Japanese repros rather than most of Edwin's current range. Apparently the shop will soon be getting in some looser cut cinch-backs from the Heritage line too. I'm glad Edwin have done this as they seemed to have slipped behind many of their competitors in the repro niche market. The only downside is the price - Â£320!!! Saw them at the weekend (I work in there from time to time) and had a good fondle Lovely looking jeans- the fit is similar to a '55 Levi. 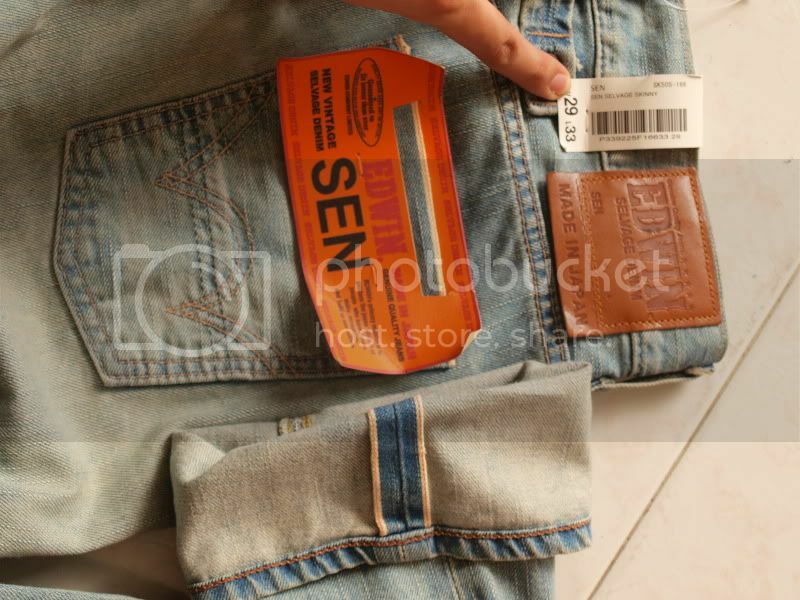 Very nice grainy denim but can't quite believe the price tag!! Not sure if edwin will ever be seen in the same way as the higher end brands. My understanding is that they are vanity sized by about 1 inch bigger than tagged size unlike the sens which are 2". Logically you would think that the 31/32 measures to 32 inch the waist (that's what I'm after). Does anybody have experience with these jeans? We have em at work i can try em out tomorrow, i know that they are longer than usual and comes with a turn up..
thanks mate I'll check on here 2 morro. Hey did you get to check them out? Yes i did! I would say that they are normal. i almost always have 31/32 and that was the proper size for me, a bit tight but they will stretch perfect! Thanks Maynard for your tip. The Edwin Nashville or Edwin Greenville have still one of the best price/quality balance. I just got the last pair in my size!!!! Glad someone acted on the info. I still have 2 pairs of Waynesvilles from the MIJ days, one is almost 7 years old, worn for about 1.5 years, the other is 3.5 years old with a few months wear and has been put away for the future. They're fantastic value jeans. 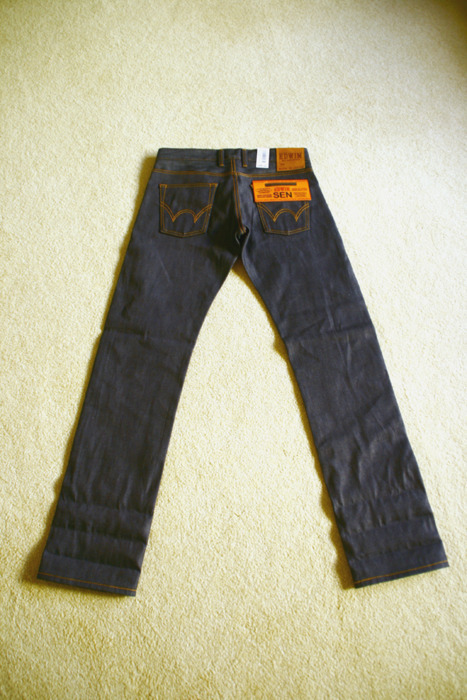 Where can MIJ raw Edwins be picked up in a straight fit like the ED-47? Are the Nashvilles NOT made in Japan? Nashvilles and Waynesvilles, like the ED range are all made in Tunisia now. The only MIJ you'll be able to pick up are the SEN range or the new heritage range (available at Cultizm, which cost over Â£300!). Hey boys need some advice. 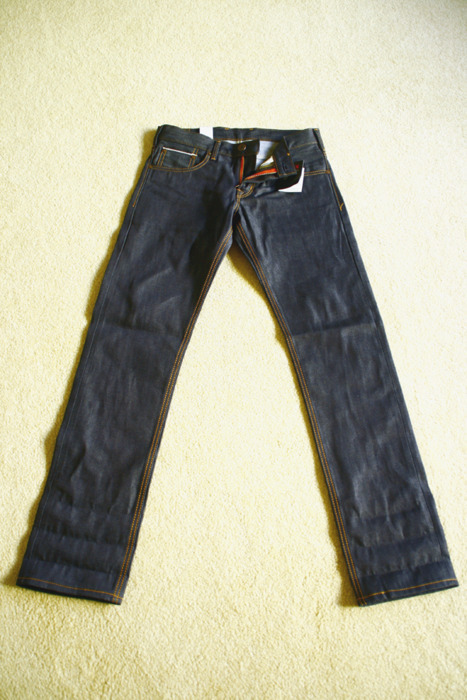 I get to pick a pair of jeans from cultizm, and was considering the Edwin over works 50. However, there doesn't seem to be very much info on them. The most info I got was from the page before this! 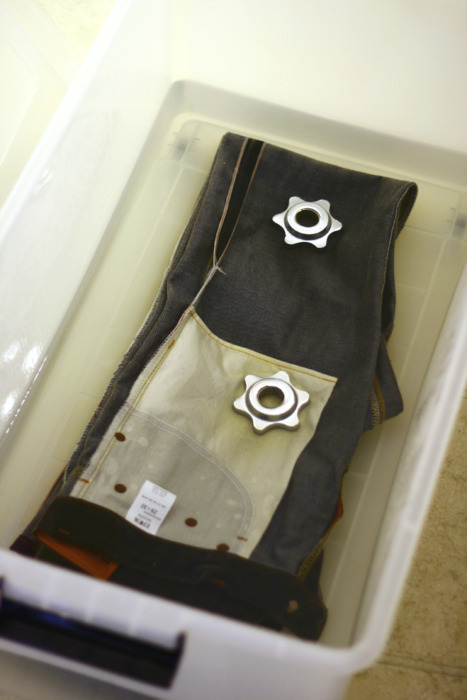 I'd like to know if anyone has post wash measurements, and if they know how many are made? Just like opinions as well about whether the quality is well worth the value. My other alternative was lvc 1966.